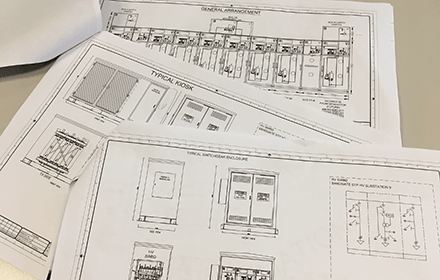 All stages of the engineering design process are available in-house from a team that is skilled in switchboard, switchrooms and control solutions. The project team undertakes analysis, electrical design, arrangements, detail drafting and design (at RPEQ, As Constructed and As Built). 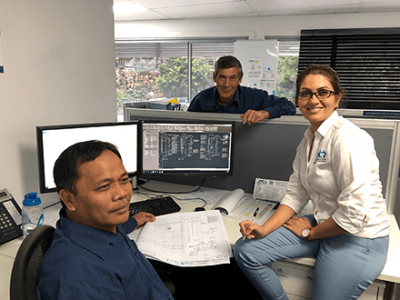 The engineering design and projects team is well qualified and experienced in heavy industry and infrastructure projects that require robust solutions with high reliability. Engineers engaged on PTAS projects have B.Eng (Electrical) and/or Diploma qualifications including RPEQ and CPEng certifications. 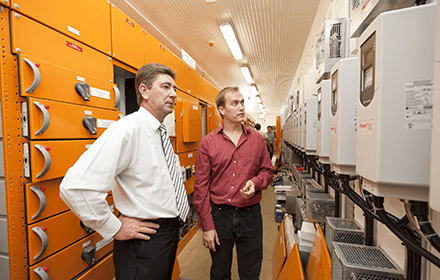 A number of the team also have electrical and controls trade experience. The team also works with a group of selected consultants who specialize in thermal / power system analysis, mechanical, structural and civil engineering, most with design and construct teams. Our strategic partnerships relationships are well established with a number of sub-contractors. We have an extensive suite of electrical orientated AutoCAD design, electrical and inventor (3D) software. ETAP is used internally for power systems analysis. MS Office Suite is extensively used, in particular MS Project for detailed project management. MS Visio is often used for developing methodologies. PTAS also has expertise from the initial power systems analysis and review stage where customers are seeking to improve, safety, reduce costs or improve process productivity. 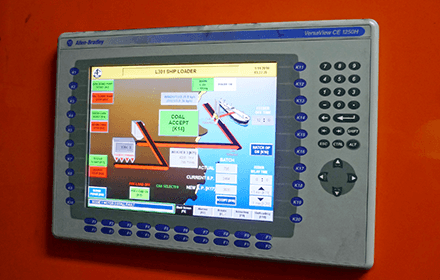 Skills extend through to PLC /HMI and SCADA programming; thereby providing an end-to-end solution. A dedicated document control function ensures flow of information to and from customers and partners, including QA. Project engineers are accountable for all major purchases for projects from BoMs. 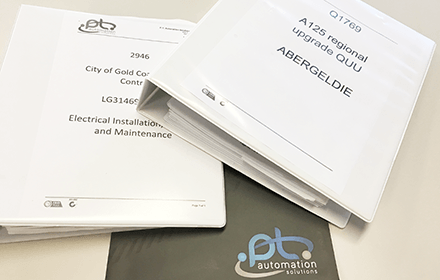 All PTAS Switchboards are now supplied with links to our QR Online Customer Support System to improve productivity and safety of operations and maintenance.